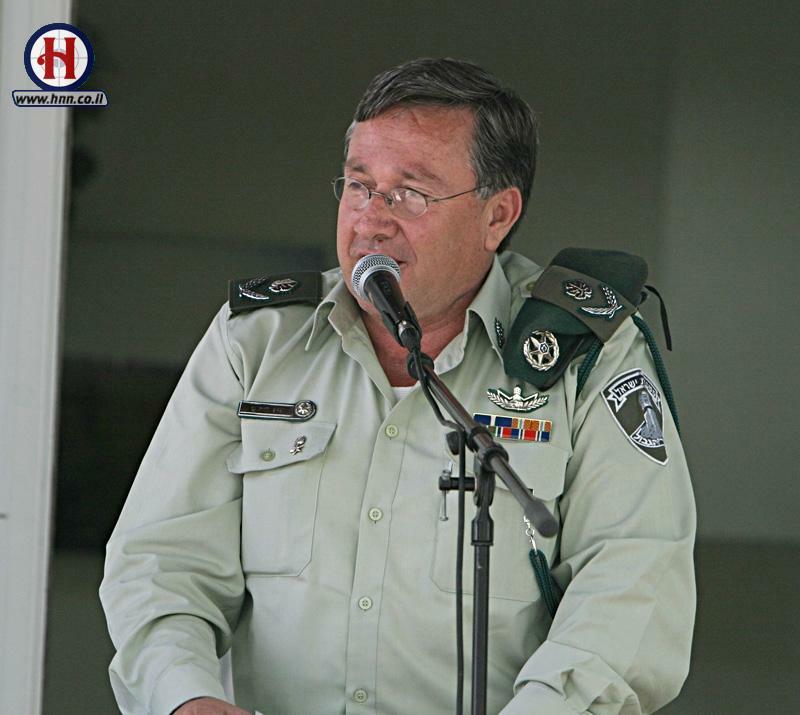 Decorations are granted in accordance with the Law of Decorations of the Israel Police and Prison Service (1972). Police Regulations 05.05.12 describes the rules of awarding the decorations, 05.05.01 define the rules for wearing the decorations and ribbons. 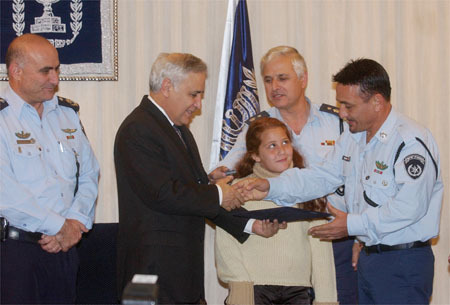 Decorations can be awarded to police personnel as well as to civilians. 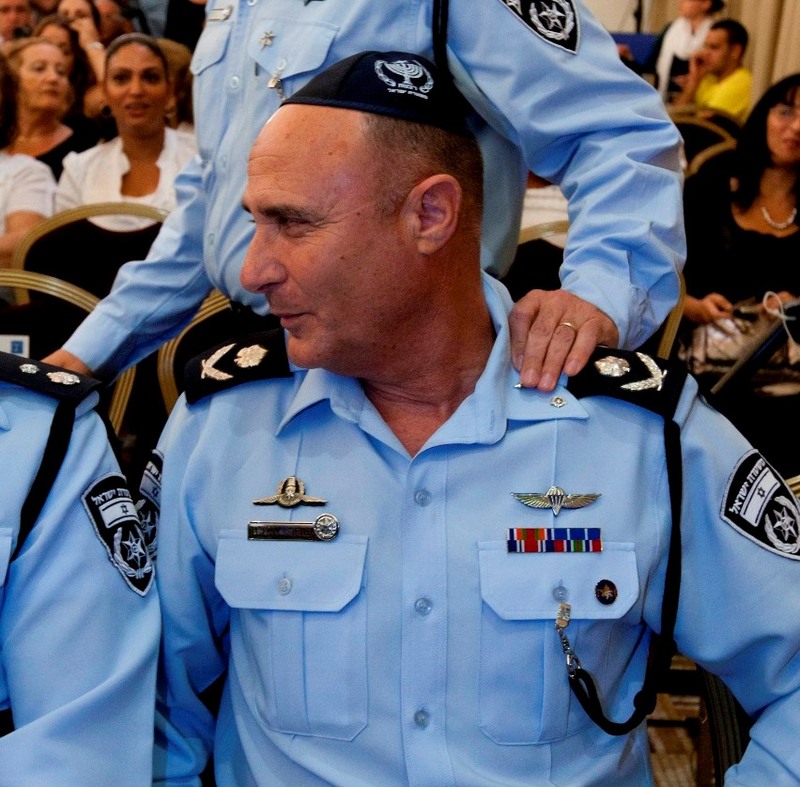 Awarded for an act of supreme heroism in the line of duty, at the risk of life. This decoration can only be awarded by the Minister of Internal Security. 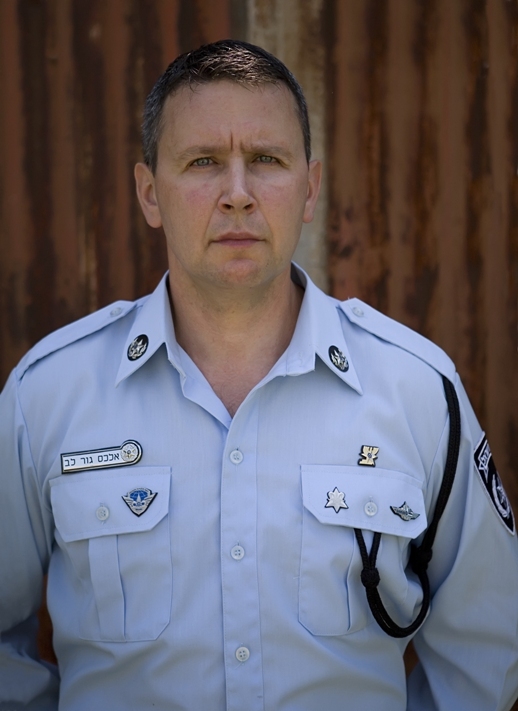 Awarded for an act of gallantry at the risk of life and in the line of duty, revealing extraordinary courage. This decoration is awarded by the Chief Commissioner of Police. Awarded for an act of exemplary bravery. This decoration is awarded by the Chief Commissioner of Police. 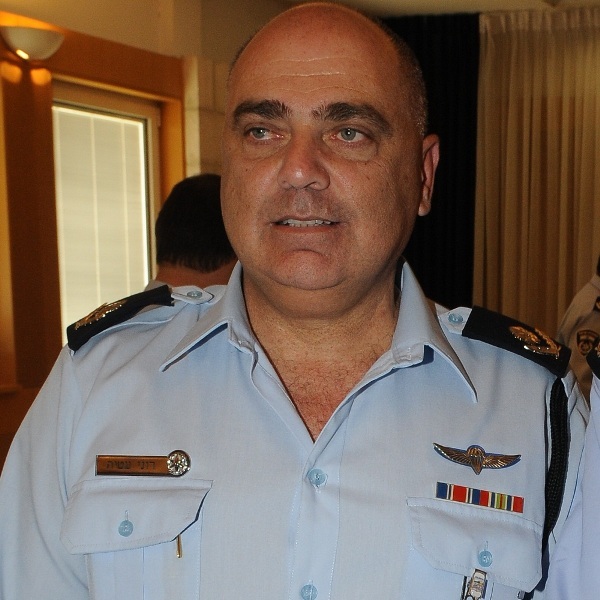 Awarded for service at the Israel Police, distinguished by an outstanding contribution to the achievement of the goals of the Police, through a single outstanding act, perseverance or exemplary dedication. This decoration is awarded by the Chief Commissioner of Police. 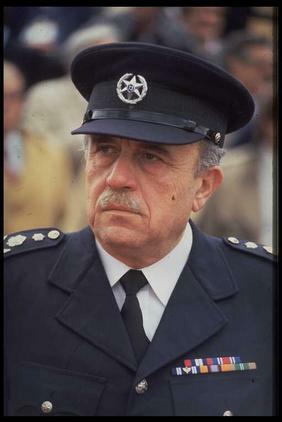 Awarded for an outstanding contribution to the achievement of the goals of the Civil Guard, through a single outstanding act, perseverance or exemplary dedication. This decoration is awarded by the Chief Commissioner of Police. 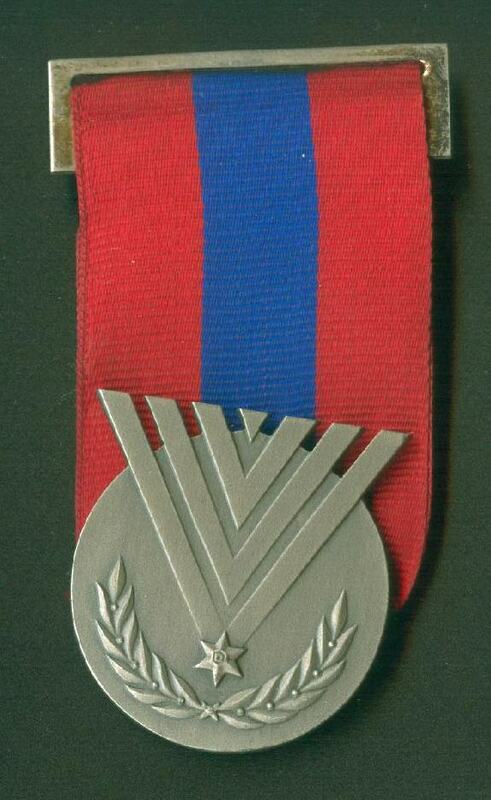 This medal was abolished on January 20, 2010. 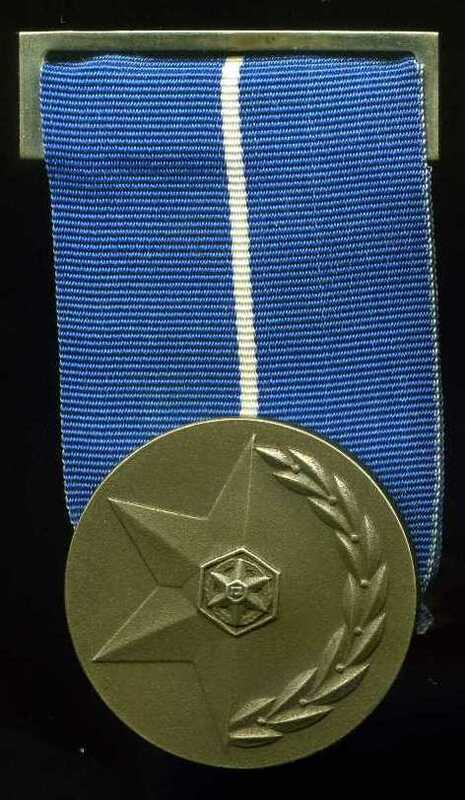 In case somebody is entitled an additional time to the same decoration, a clasp is awarded instead of an additional medal, to be placed on the ribbon of the decoration. Decorations can be awarded posthumously. Once a year award ceremonies are held. 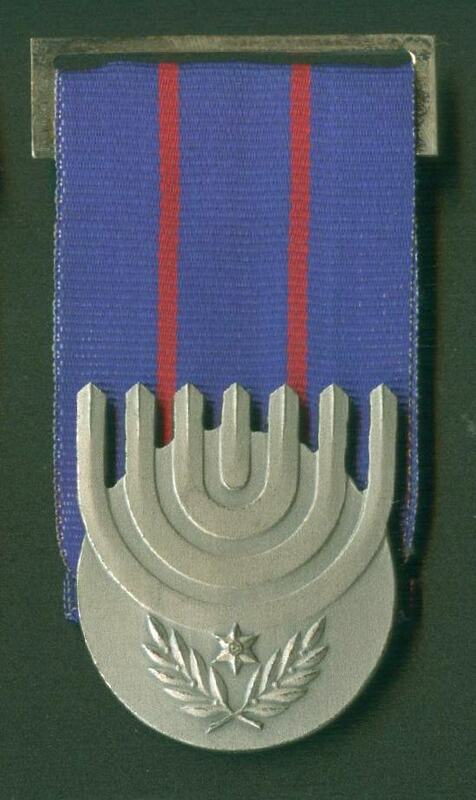 Policemen are allowed to wear the medals of the decorations only during the Independence Day of Israel. During other occasions, only the ribbons are to be worn. 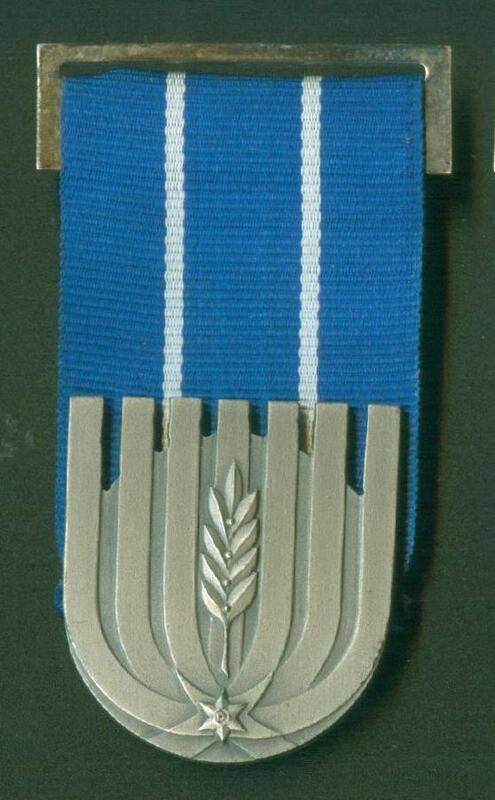 the two Lebanon wars and the police distinguished service ribbon. 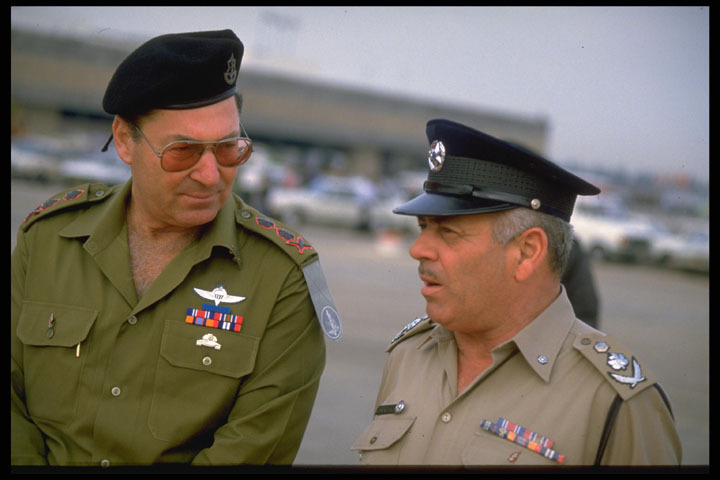 Chief of Staff Dan Shomron and Police Inspector General David Kraus. The latter has his ribbons plastic covered.